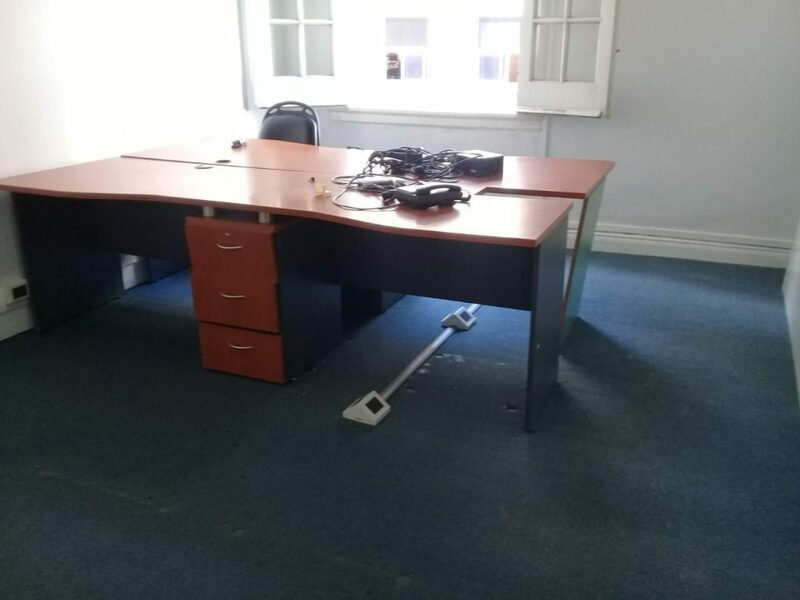 The rented office at Espacio Bitcoin, waiting to get the furniture! Since the day IOTA got listed in Bitfinex (2017), a lot of people that were interested in the crypto world but understood blockchain limitations, started to study this new DLT approach in Argentina. Since then, we held countless conversations, hangouts, meetups and workshops around the country and even in other countries such as Brazil, Uruguay and Venezuela. We also started developing solutions for the Tangle such as XDK2MAM and have a lot more coming for the future in terms of Proof of Concepts. 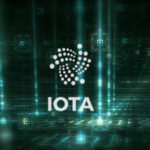 Because we truly believe that IOTA will achieve its goals in terms of getting rid of the Coo and become the backbone of a decentralized IoT, we considered it was time for us to give the next step, and we did. We have signed all the requested papers to constitute a Civil Association named TIDIC (Tecnologías de la Información Descentralizada y el Internet de las Cosas) which we will refer to as IOTA Argentina Community Cluster. 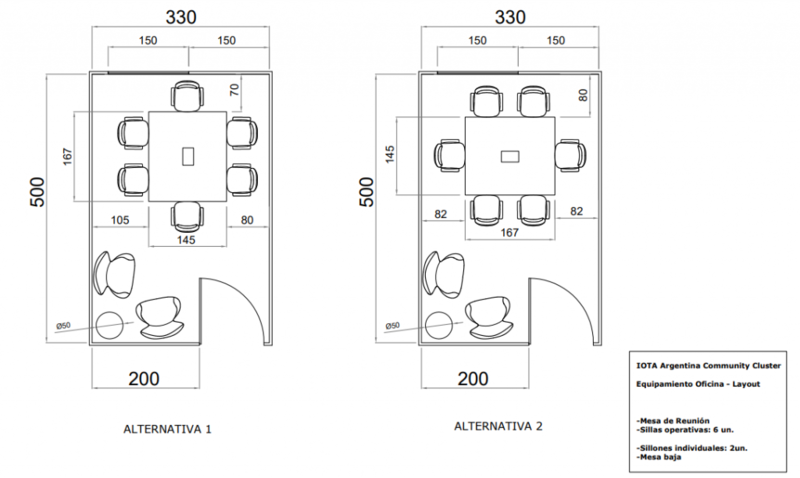 Furthermore, we rented a little office at Espacio Bitcoin where other DLT projects such as RSK, Atix Labs and Signatura have offices. 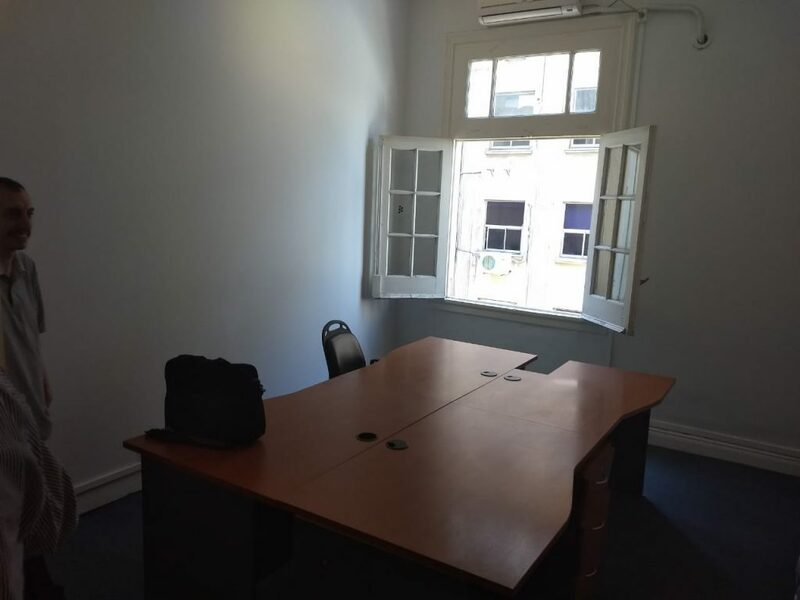 IOTA Argentina Community Cluster office with a table that will be removed soon. All this has been achieved by argentinian community members who dedicated time and money. Now that we have the space, we need to set it up with some furniture. We did a lot of research and got plans and a budget we feel is fair and would allow us to get all the detailed items for USD 1100. This place will allow us to develop regular meetups and workshops (it has an auditorium we can use for free), to work on existing projects (XDK2MAM), to plan new proofs of concept for the coming future, to hold meetings with people/companies interested in our work (we already held a few on the meetings room). It’s gonna be a little community nest for IOTA Latam in the heart of Buenos Aires. This is a joint effort done by the argentinian community, so any help will be of huge value. Remember that, if you are in Buenos Aires, IOTA has a base.